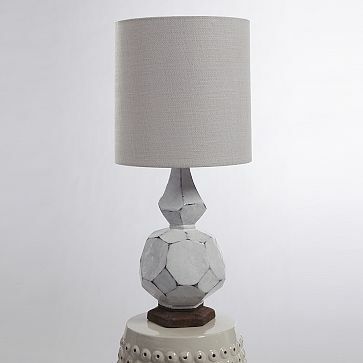 I love this great looking lamp from West Elm! Looks like a one of kind find. Love that lamp too. And the vintage glassware is actually from Estate Eclectic! Yesterday I went to their pop-up store in Georgetown DC. The new collection is amazing! Love that lamp. Thanks for the tip. 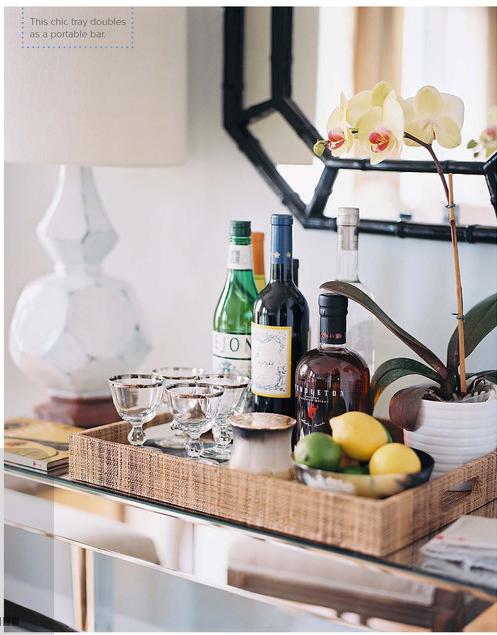 That rattan tray is really nice, I've used it for a client. that lamo is by far my fave west elm one so far…ive contemplated buying it…but dont really need another lamp 🙁 Love it though..i bet i'll regret not getting it!! I like the tray looks good, not too sure about the lamp, interesting design but not something for me.